Florida is the most gorgeous place to go fishing. Many different styles of fishing can promote the best outdoor experiences you can explore. 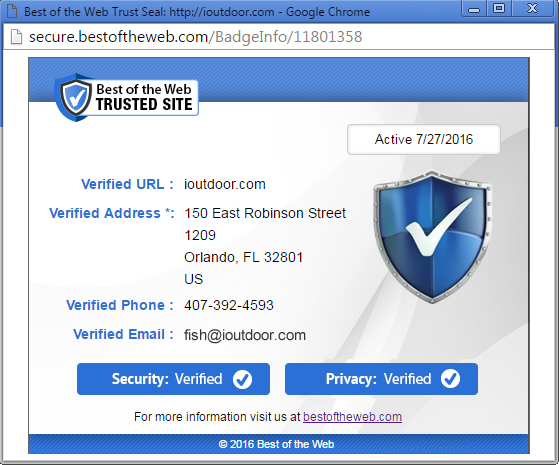 When visiting the many cities and especially Miami, don’t overlook spending some quality time in the outdoors. 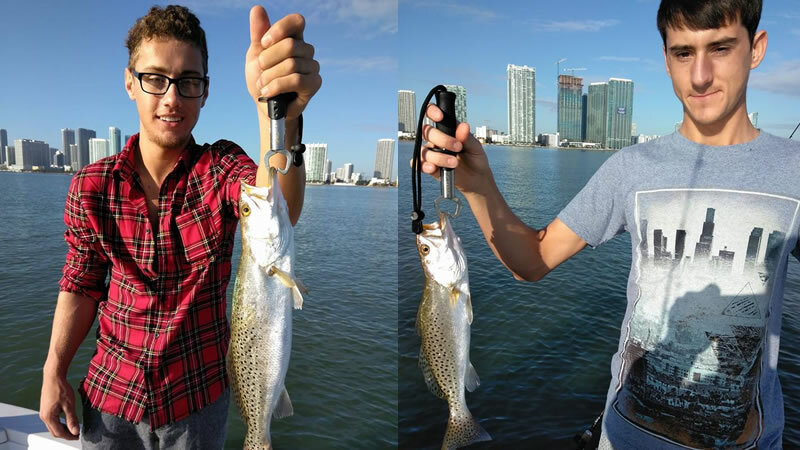 Miami Sea Trout Fishing is perfect for the family or your die hard anglers wanting to spend a whole day out on the water. One of the best ways to fish for sea trout is sight fishing or finding a big school of them. Throwing out artificial shrimp or top waters can lead to a very exciting saltwater bite. Following the action and buzz on top of the water and then throwing your bait in the middle waiting for the bite is a thrill worth experiencing. Setting the hook with a beautiful Miami city backdrop is breathtaking and will leave you wanting more. 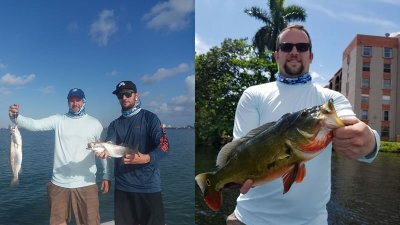 Captain Brian Leibowitz is one of the most experienced and professional guides for catching inshore species in the Miami Biscayne Bay. 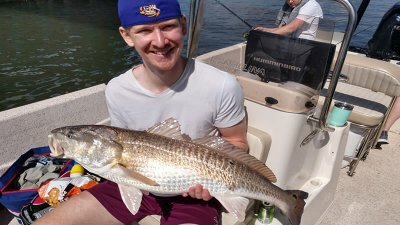 Years of experience led him to use his own techniques to catch some of the biggest trout and redfish in those waters. 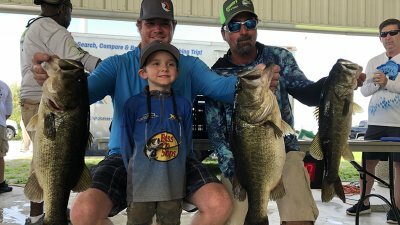 A salt water fishing trip with him will leave you with memories of a lifetime. On this fishing adventure and trip, Captain Brian took out 4 gentlemen traveling from Northern Indiana. It is always nice to experience something new when traveling to Florida. They wanted to go out and catch some keepers that can cook up for a delicious meal. These gentlemen caught over 20 Speckled Sea Trout. 11 of those trout were keepers they could take home. The rest of the fish were caught and released to live another amazing day. We also caught a bunch of jack crevelle. Miami is the perfect place to adventure out and experience what saltwater fishing has to offer here in Florida. Many species can be caught and all you have to do is step aboard. I look forward to fishing with these gentlemen again in the future. Don’t miss out on an iOutdoor fishing adventure next time you are traveling to this beautiful state! Your Adventure Starts Today with Captain Brian Leibowitz in the Biscaybe Bay. 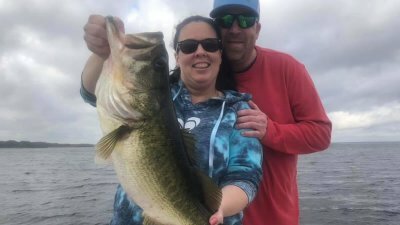 If you enjoyed this report with Captain Brian, you might also enjoy our Fishing Blogs from the same area.